There are lots of methods available for collecting leads at trade shows. Many organisations use the same process event after event, year after year. If you’ve been using the same lead capture method for several years now, have you considered how it compares to other processes? Would a different lead capture method help you collect and follow-up with more leads? 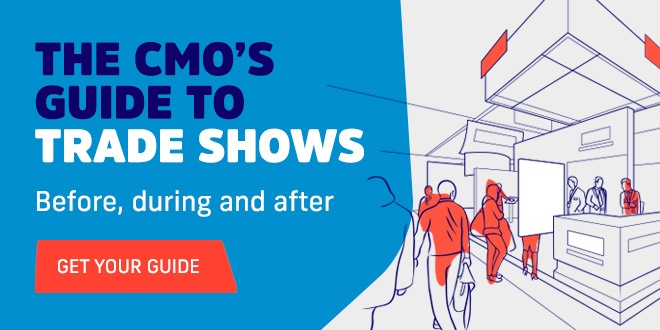 We’re looking at five different methods for collecting leads at trade shows, so you can understand whether there’s an easier or more efficient method to try at your next event. Paper forms are the traditional method for capturing leads at trade shows. They’re easy to create and use, but in 2018 being the rep clutching a clipboard and stack of paper looks unprofessional. They’re also slow and inefficient – both for the person filling out the form, and when it comes to the follow-up. It takes a long time for your marketing assistant to type them up and get that data into your system, so you can send your follow-up emails. One of the most common sights as you walk around any trade show is a fishbowl set out, for attendees to put their business cards in. Most of the time, this is used as an easy way for visitors to enter competitions, but sometimes it’s used as a lead collection method. In this case, it’s impossible to collect people’s business cards in a way that also collects their opt-in consent and complies with GDPR. When you’re collecting business cards, you also have a problem with slow follow-up, as it can take a long time for card data to be entered into your system. This is the more high-tech approach to business cards: using an app to scan the cards rather than taking them from attendees. This means your reps on the stand have fewer bits of paper to keep hold of – and there’s less chance of cards getting misplaced, buried in handbags or pockets. One thing to consider is who will transcribe those business cards after you’ve scanned them. Some business card scanner apps offer a transcription service alongside the app. This is a convenient way to do so, but you should keep an eye on the quality of the transcription, to ensure you’re not receiving bad data. If most of the visitors to your trade show stand carry business cards, this might work for you. But we’ve spoken to several of our customers in different industries, who have told us that the people they speak to at trade shows aren’t carrying business cards anymore. At most large trade shows, exhibitors can hire badge scanners, either for the whole show, or by the day. One of the biggest problems with trade show badge scanners is that they’re all different. Your reps need to learn to use a new tool, every time you exhibit at a trade show. And while badge scanners work well on the trade show floor, allowing reps to collect leads quickly, the same isn’t true for post-event follow-up. You normally have to wait for several days after the show finishes, to get your badge scan data through from the organiser. This delays your follow-up until you get the data through. When it does arrive, you get a long list of contact details – with no context around the conversation you had with each lead. Akkroo is an example of a universal event lead capture solution. Depending on the solution you choose, you can use a variety of lead capture methods within the app, such as scanning event badges, scanning business cards, and manual data entry – combining the benefits of business card scanners, badge scanners and paper forms, all in one. The app can be installed on your own devices (either your company’s devices that are shared by your event team, or the employee’s own device), so that you can use the same lead capture app at every event or trade show you exhibit at. Using a universal lead capture solution makes your lead capture process fully digital, meaning you cut-out delays associated with data entry when using paper-based lead capture methods. If you’ve been exhibiting at trade shows for a long time, it’s likely your business has used the same lead capture method for years – possibly even decades. But technology has moved on, along with attendee’s expectations for timely follow-up and personalised communication. Does your old, traditional lead capture method stand-up to modern expectations and technical requirements, or is it time to try something new?